Taste of the Nation Utah recently split with Share Our Strength (SOS), a national nonprofit organization committed to ending hunger and poverty in America, after a 12-year relationship, and will now be known as Taste of the Wasatch. According to longtime Taste of the Nation Utah organizer Karen Zabriskie, under the SOS umbrella, “We raised nearly $1 million. 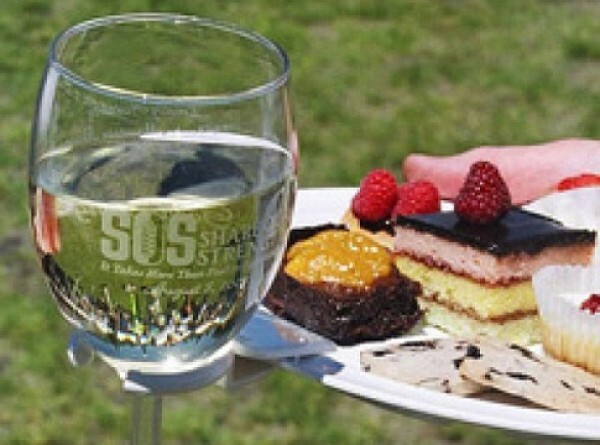 That is something we can all be proud of.” However, SOS recently gave Taste of the Nation notice that SOS would be taking 40 percent of funds raised in Utah, up from the 20 percent the organization had taken in past years. The remaining 80 percent of the funds were granted to local beneficiaries: Utahns Against Hunger, The Ogden Weber Community Action Partnership and the Utah Food Bank. So, it was decided that, in order to keep 100 percent of the funds here in Utah, a break from Share Our Strength was necessary. The event itself, venue (Solitude Mountain Resort), date and beneficiaries will remain the same. “It has been a fairly amicable parting of the ways, but Share Our Strength did tell us they will continue with an event in Utah,” Zabriskie says. Stay tuned for further information on 2012’s Taste of the Wasatch and SOS events. In February, Mist:SaltLake—a “guerrilla” restaurant and dining experience—sold out completely, serving nearly 900 diners during its four-week run. Now, Mist’s chef, Gavin Baker, is going to share his cooking secrets with interested amateur cooks. Secrets of Mist cooking classes will be held at No Place Like Home (1685 Bonanza Drive) in Park City on Friday, March 30, and Saturday, March 31, beginning at 6:30 p.m. Classes are limited to 25 participants each night, and the cost is $65 per person. Tickets are available at No Place Like Home, or call 435-649-9700. Among the Mist recipes and techniques that Baker plans to share with the public are the scallops, apple granita and duck-risotto courses that were served at the Mist dinners.